A Premier League match a lot of fans will be having a punt on this week kicks-off at 12:30pm on Saturday August 11th at St James' Park with Newcastle United taking on Tottenham Hotspur. We've listed British Bookmakers best odds for Newcastle v Spurs below, a preview of the match, and the betting offers and price boosts to claim if you're betting on the game. Check out the best odds that bookmakers offer for a Newcastle win (H), a win for Spurs (A), or a draw (D) below. Use the ALL ODDS tab to view more bookmakers odds. NB: Bookmakers best odds for Newcastle v Spurs correct at the time this match preview went live and are subject to change. Last updated: 03:48 on 10/08/2018. As we head into the new Premier League season, we've taken a look at bookmakers best odds for Newcastle v Spurs above, both team’s form and the betting offers to take advantage. Newcastle v Spurs will be broadcast live on SkySports at 12.30pm on Saturday August 11th. 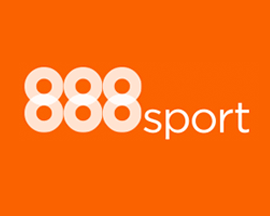 Signup at 888sport using promo '10FREE' and bet £10 on any market you want and you'll get £30 in free bets and a bonus £10 free bet to use on Newcastle v Spurs. New Customers only - £10 minimum deposit using promo code "10FREE" - First bet must be placed on any market - Minimum stake £10 at odds of 1/2 (1.5) - Free bets are credited upon qualifying bet settlement and expire after 7 days. Deposit and withdrawal restrictions & full T&C's apply. 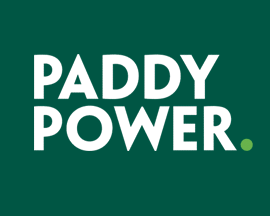 Signup with PaddyPower today and bet £20 on Newcastle v Spurs and if you don't win your bet, they'll refund your original £20 stake - in cash! The second fixture of the new 2018-19 Premier League season after Man Utd v Leicester kick it all off is Newcastle v Spurs at St James’ Park on Saturday lunchtime. Bookmakers odds suggest Spurs are favourites, and while they are without a doubt one of the better teams in the Premier League, they've only won 3 of the last 5 fixtures against Newcastle. Check out bookmakers best Premier League odds for 2018-19 to see how likely they believe Spurs will be crowned Champions at the end of the season. Overall, Spurs have won this fixture more times than Newcastle, however in recent years it’s been a bit more of evenly balanced affair with 5 wins each each team from the last 10 matches. Mauricio Pochettino’s men won both fixtures against Newcastle in last seasons Premier League, however Newcastle won both of the previous season’s fixtures. Rafael Benitez's Newcastle team didn’t have a great season last year, only finishing in 10th place having won just 12 of the 38 games that they played. While Newcastle have home advantage, Benitez faces a tough start to the new Premier League season as they'll also be playing Chelsea and Man City in their first 4 games. Benitez has a pretty solid squad to choose from for the Spurs fixture, and there haven’t been too many changes to the Newcastle line up during the summer transfer window. Martin Dubravka has joined from Sparta Prague, and Kenedy is back on loan from Chelsea for another season, while Stuart Findlay, Mikel Marino and defenders Massadio Haidara and Chancel Mbemba have all moved on. There are some talented players in the Newcastle squad, but tough opening games against the top teams in the Premier League could mean a slow start and low points tally is on the cards. Spurs, who ended last season in 3rd place, having only lost 7 of their 38 games, are by far the much stronger side heading into Saturday afternoon's match. Mauricio Pochettino has some excellent players in the Spurs squad, and they have the potential to challenge the top teams in this season’s race for the Premier League title. Harry Kane was brilliant in the World Cup, scoring 6 goals in 6 games, and Spurs fans will be hoping he can keep his scoring run going during the new Premier League season. Spurs are probably one of the only teams that have had a notable lack of transfer activity, with Keanan Bennetts and Anton Walkes leaving, but no new players as of the time of writing. In saying that, Spurs were great last season, and if Pochettino focuses on improving their accuracy in converting crosses from open play, Spurs should be up there again this season. Spurs look like the winning team coming into this fixture, and it’s understandable to see why bookmakers offer them as the favourites, however Newcastle shouldn’t be underestimated, especially as they have a home advantage. Newcastle and Spurs have played each other a total of 158 times with Spurs currently having the upper hand having won 68 fixtures compared to Newcastle's 58 wins. The last Premier League fixture between these two sides occurred on the 9th of May earlier this year when the match ended 1-0 to Spurs thanks to a single goal from Harry Kane. The last 6 Premier League matches involving these two teams been quite even as they've resulted in 3 wins for Newcastle, and 3 wins for Spurs with none ending in a stalemate. The last match where Newcastle played Spurs at home at St James' Park was when they met in the Premier League on the 13th of August in 2017 with Spurs winning by 2 goals to nil. The biggest win that Newcastle have ever had over Spurs in a Premier League match was on the 28th of December in 1996 when they beat them 7-1 at St James' Park. Les Ferdinand, Alan Shearer and Rob Lee all scored twice during the match with Philippe Albert netting once. Allan Nielsen got a consolation goal for spurs in the 89th minute of the match. The highest score that Spurs have ever beaten Newcastle by in the Premier League was the 5-0 win on the 11th of February in 2012 when they played each other at White Hart Lane. Two goals from Louis Saha set them on their way with left back Benoit Assou-Ekotto, winger Niko Kranjcar and forward Emmanuel Adebayor also scoring during the drubbing. Looking at the last 6 fixtures that Newcastle United have played in all competitions, they've won 2, drawn 2, and lost 2 scoring a total of 4 goals (0.8 goals per game) and conceding 7 times. Spurs' record over their last 6 matches in all competitions is won 4, drawn 1 and lost 1. They've scored more goals than Newcastle, 14 in total (2.33 goals per game) but also let in more (11).